The 10th Annual Charlotte Harbor Regatta is scheduled for February 1-3, 2019. The regatta is open to 2.4mr, as well as Windmill, Laser, Weta, F18, F16, Hobie 16, A-Class Cat, and Harbor 20 classes. The 2.4mr class will sail on Feb 2 and Feb 3, and launch their boats from the Charlotte Harbor Yacht Club located at 4400 Lister St, Pt Charlotte, Fl, 33952. 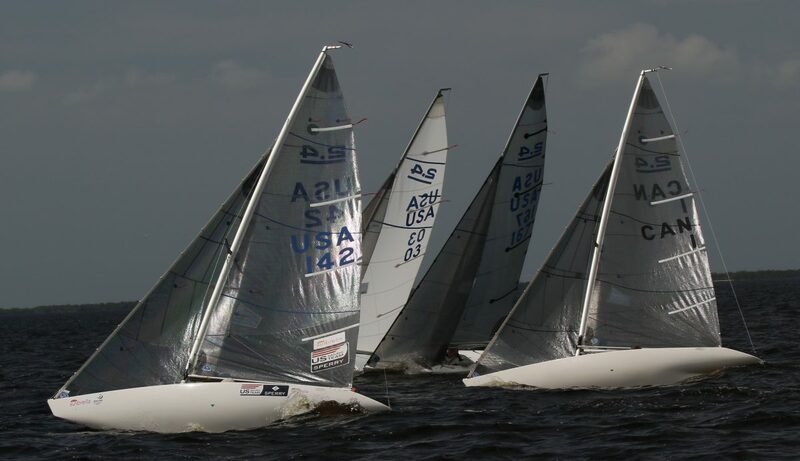 Port Charlotte, Fla. (December 13, 2018) – While most of the U.S.A. was getting smacked by an early taste of wintry weather and unseasonably cold temperatures, the conditions were more than ideal for sailors in the 2.4 Meter class as they kicked off the 2019 CanAm Championship Series at Charlotte Harbor Yacht Club (CHYC) in Port Charlotte, Florida. With at least nine competitors from Canada, two from the Virgin Islands, one from Norway, and Americans coming from as far as Seattle and San Diego, a fleet of 20 started the championship series with back-to-back regattas on the Peace River.